Imagine a very large field. 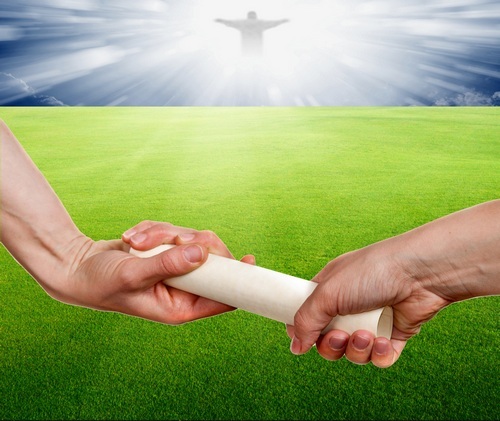 The field is spacious, and at the end of this field is Jesus Christ. Anyone could easily come to Jesus, by just crossing the field. Now imaging that the entire world is at the start of this field. And Jesus is calling all people to come to Him. So many people start to cross the field, and come to Jesus. Multitudes begin the journey to find and follow Jesus. 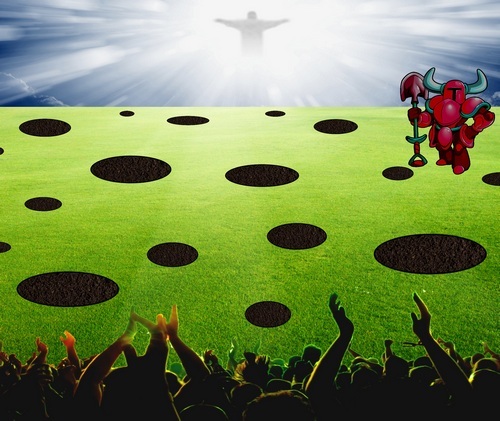 But before people start to cross the field, satan, digs a large pit on the field, for people to fall into. 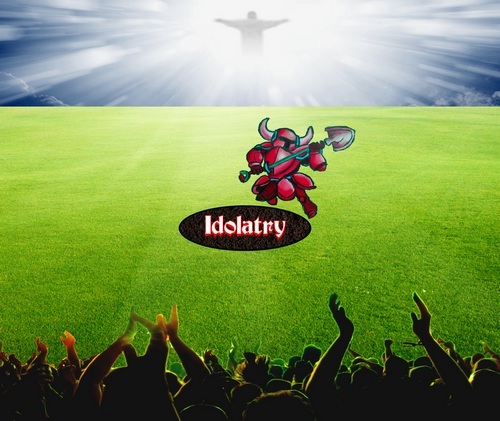 This pit is called, Idolatry. 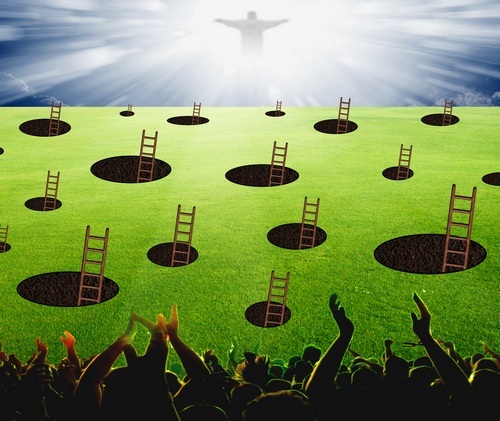 satan's plan is that people searching for God, will fall into this pit and it will prevent them from finding God. Once people are in the pit, they are trapped, going nowhere, unable to get out. satan goes out and digs many pits, all over the field, hoping to trap as many people as possible. Each pit is designed to trap people in a different way. 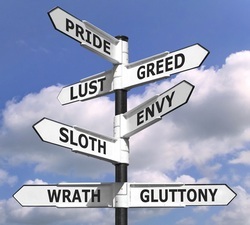 For people who do not fall into the pit of idolatry, maybe they'll fall into the pit of drug abuse. If people avoid that, maybe they'll fall into the pit of perversion, or the pit of doubt, or the pit of depression, or the pit of pride. A plethora of traps, to capture a multitude of people. Each pit is based on a deception, that lures people in. Each person trapped, is another soul satan has won. But the Lord has gracefully provided ways for people to get out of the pits. They are ways that people can be set free, and continue on their Journey to Christ. There are ladders that people can climb out of these pits. 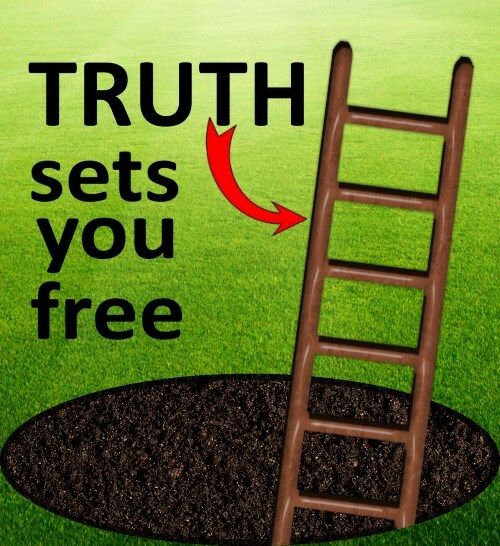 Since each pit is based on a deception, God's truth sets people free. But how can we get the truth to people that are trapped in the pits? In the modern age, there are Many way of getting God's truth out; Books, Radio, TV, Web, Social Media, Podcast, word of mouth, email, etc. And this is the mission of DivineRevelations.info, we are trying to find anointed media, full of God's truth, that helps people out of these pits. We are gathering anointed media, videos, sermons, mp3s, books, testimonies, etc., and distributing them all over the world. The DivineRevelations.info goal is to distribute anointed media all over the Internet, so that people can avoid and escape these pits. 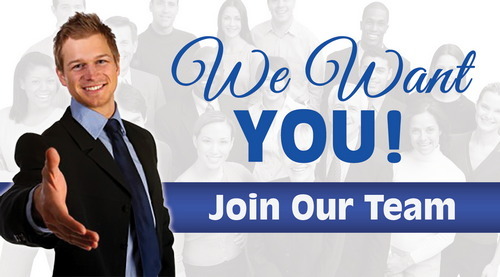 Our web ministry currently reaches 20,000 people a day. And our Youtube Accounts reaches another 50,000 people a day. We have media in over 300 languages, biblical resoures in over 1000 languages. Our philosophy is that we do NOT copyright anything. Whatever we make, we freely give away. We allow people to download media, keep it, copy it, edit it, distribute it, and run with it. Hoping that they will reach more people that we did. We need your help. If you can pray, please consider becoming one of our intercessors. And if you can financially support this ministry, please contribute. Bless you, and thanks for all your help.